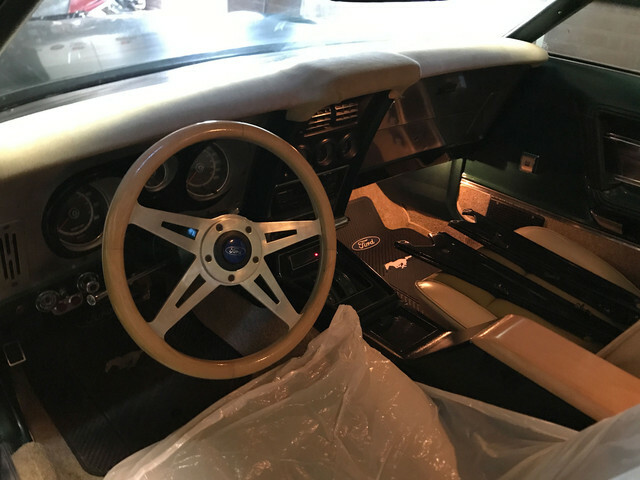 That why I measured with templates what would be fine for me and made my own for my 73 and will make another same one for the 71. I like some of the designs I see online sometimes like the one above but they have 3 branches and I wanted 4.
can you show me pic of the one you made for your 73 Fabrice ? I'm curious now.... Steve that's a nice steering wheel. I inherited one that should have been in a golf buggy. Bought a used two spoke much the same as you have plus the bits to rebuild it. What type of repairs does it need ? They're not difficult to fix - search this forum. To get past the skinny feel and add more grip, I fitted a fake leather wrap around cover. Had a similar set - up on another old car and worked well. 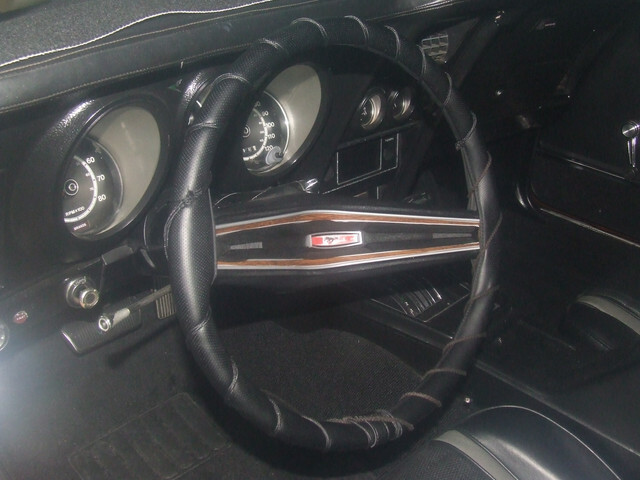 that's quite a creative solution, I think that works well with the original steering wheel. (04-16-2019, 04:24 PM)baz70 Wrote: can you show me pic of the one you made for your 73 Fabrice ? I'm curious now.... Steve that's a nice steering wheel. In case you'd go for your own fab, while it's not complicated and can be done with basic tools, it's a "one shot" thingy. The 5mm thick aluminium selected for the job with high grade cannot be bend more than once in order to preserve its strength. Meaning the 2 planes that needs be paralel to ensure the wheel turns round needs to be slowly pressed into shape, and there is no way back. If you'd fail that step, its back to drawing board . That's the only really tricky part that I've experienced. For the rest, aside carefully planning your building steps, like keep the center hole small to fit the plate on a rotating tool for all kinds of details you'll need and not drilling to definitive radius right away or have holes to screw your wood done before you scratch your head on the how to have the wood in place without any chances it would ever move.. 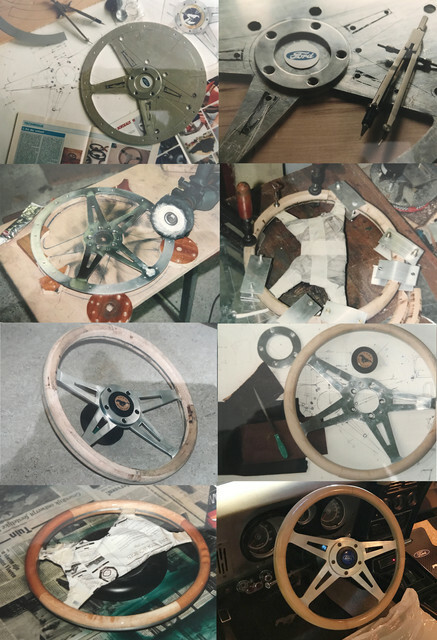 It's no rocket science and as you see bellow, using you own CNC machine (your hands)and basic tools like a file and drilling machine is all you need to have a long lasting, strong and most of all: your personal steering wheel that matches your body and style. I did this one 25 years ago, and its today looking same way it was made. Another detail that matters, make sure you pick the column adapter before, so you have the steering to column adapter holes with perfect match and alignment in early steps of the build. Count a weekend to make it this way. Now days, you could draw your design in illustrator, export as dwg, and let some shop laser cut the aluminium (or other metal). That would be less fun and more expensive as they usually charge for each cutting starts(and there are lots in there), but you would skip the tedious cutting part. I've also made two horns buttons (one with the pony is on the pict), which was for the branding handmade engraving+paint, but made a mistake and a few mm diff made it not fit right. So went plan b and used some ford logo found on wheels parts and mixed it with some another button mechanism found elsewhere. Design wise, it matches my aluminium dashboard details. vents have same designs as the wheel branches. wow you have some serious fabrication talent there Fabrice, that is art! thx, but no it's not. I just couldn't find any even near the design and size I wanted. Bit strange if you look at it, on itself not very special and pretty classic, it could fit many interiors. Yet 4 branches with light wood are a rare breed and the classy British ones were all 3 branches and bigger. At least at the time I was looking for one.